Use them effectively in games – eg: turn your second stick into rudder pedals! This tutorial will show you how to use two joystick on a single PC when playing games. This is useful because one can convert your extra joystick to work as a rudder control, or throttle, or gear stick, or many other things! First thing’s first – you’ll have to attach two joysticks, or gamepads, or driving wheels or any combination of these – to a single computer. 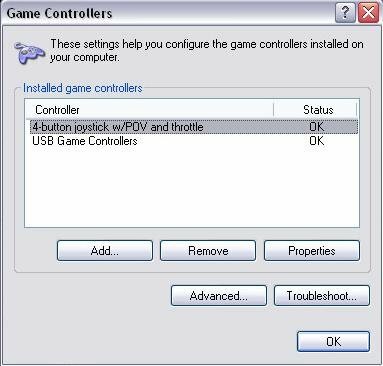 After that, make your way in Control Panel and make sure Windows recognizes that two game controllers have been attached. Note: This tutorial was written under XP, but it will work on Win 7/8. And also note that there’s no conflict between USB and Gameport joysticks being attached at once – XP will recognize them as separate entities. Just make sure you specify that your primary joystick (the one that you actually fly the plane with) is your ‘preferred’ device. 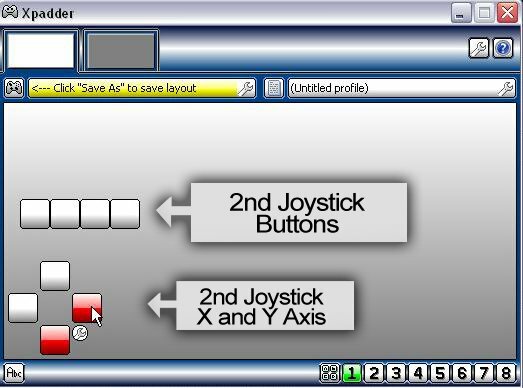 Xpadder is a program that makes the game recognize your extra game controller as part of the keyboard. So basically when you press a button on the joystick or gamepad, the game will believe you’ve pressed a button on the keyboard. Quite clever, eh? 1. Open Xpadder and follow the initial configuration windows. Choose My Documents and select ‘Associate’ when prompted. 2. Click on New to open a new layout window and start configuring your controller – your extra joystick, in this case. See below. 3. Enable the ‘Stick’ feature, assuming it’s a joystick you have, and turn it around – see the image below. Next go the buttons and press each button on the stick. 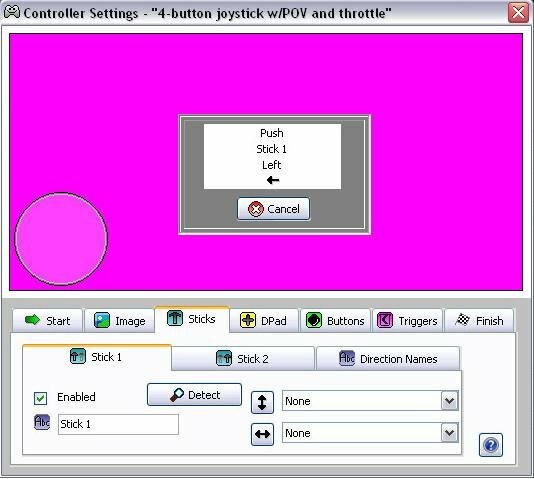 After you are done, you should see all of your joystick’s controls displayed on the screen. 4. Next you will select keys that will associate with the joystick buttons and axis movements. 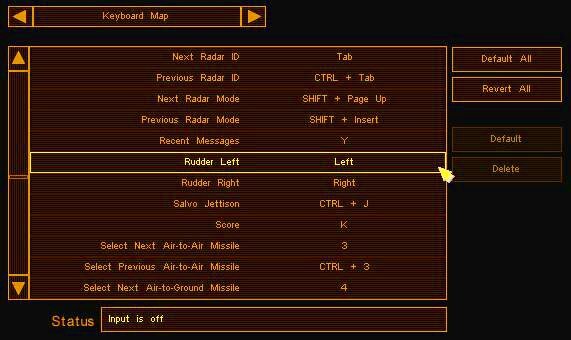 Here, for instance, I will associate the ‘Right’ key with the the right stick movement, so each time I yank the joystick to the right, it will automatically activate the ‘Right’ key on the keyboard in a PC game. The same will be done with each other button. After you’re done, save the layout but don’t close Xpadder – minimize it and open the game you wish to play. For this I’ll try NovaLogic’s F-16 Mult-Role Fighter from 1998. There we have it! Remember that the game thinks the extra joystick is the keyboard, so you’ll have to reconfigure the game controls with the new buttons mirrored on the joystick. The arrow keys control the rudder here, so when I pull the joystick left and right, it will work the rudder. You can use this method for many other games – to work the collective on a chopper, or gears on a truck. Unfortunately, these controls are essentially an extension of the keyboard, so they aren’t that finely tuned – it won’t make any difference in the game if you pull it hard or gently tap the stick, and so you can never have the same sort of control as you would with genuine pedals. But still a nice trick, ain’t it?